It starts on a summer evening, with the kind of magic found only in Paris. Once a year in the City of Light, a lavish dinner takes place outside a spectacular landmark -- the Eiffel Tower, the Louvre, Notre Dame . . . a new setting each time. Selected by secret invitation, the guests arrive dressed in white, with tables and chairs, white linens, flowers, fine china, sparkling crystal, and an elegant dinner. As the sun sets, thousands of candles are lit. And when the night is over, hundreds of white paper lanterns, each with a flame within, bearing everyone's fervent wishes, are released into the sky. Amid this wondrous White Dinner, a group of close friends stands at the cusp of change. Jean-Philippe and Valerie Dumas are devoted to each other and their young children. He is a rising star in the financial world, she, an editor at French Vogue. But a once-in-a-lifetime opportunity in China may lead to separation -- and temptation. Chantal Giverny, an award-winning screenwriter, and Dharam Singh, one of India's most successful tech entrepreneurs, are singles paired for the evening. They arrive as friends, but their paths will be set on dramatically different courses before the White Dinner ends. Spanning the globe, this breathtaking novel follows these indelible characters through a transformative year of successes and heartbreaks until the next White Dinner. 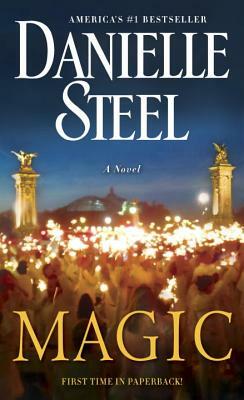 From the world's most beloved writer, here is a tale told with extraordinary tenderness and passion, as Danielle Steel explores what it really means to have magic in our lives.